LANCASTER – A small grassfire at the western end of the Antelope Valley mushroomed to 170 acres within two hours Sunday. And although structures had been threatened, by 12:30 p.m., forward progress of the “Fairmont Fire” had been stopped, firefighters said. County firefighters were dispatched to grasslands near 160th Street West at Lancaster Road a little after 10 a.m. Sunday, Sept. 9, according to a county fire dispatcher. In a little more than an hour the fire had grown to 125 acres and was upgraded to a second-alarm blaze. 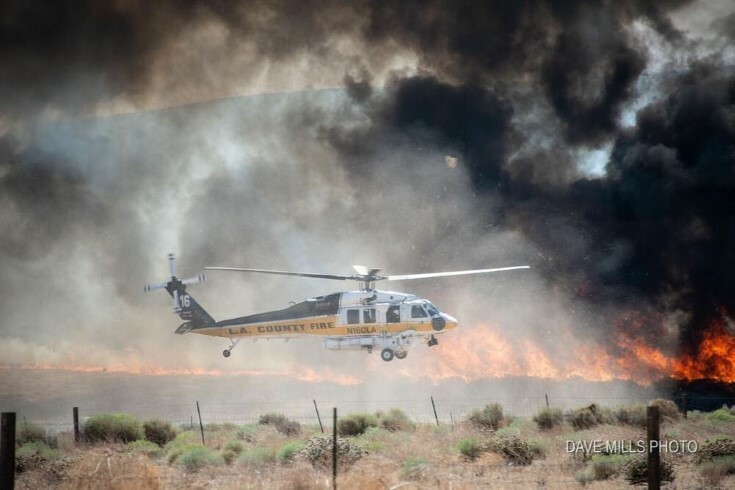 Two Superscooper aircraft and more than 100 firefighters were dispatched to the blaze, near the California State Poppy Reserve, about 15 miles west of Lancaster and south of state Route 138. The Superscoopers were sent home before 1 p.m. when forward progress was stopped at 170 acres. 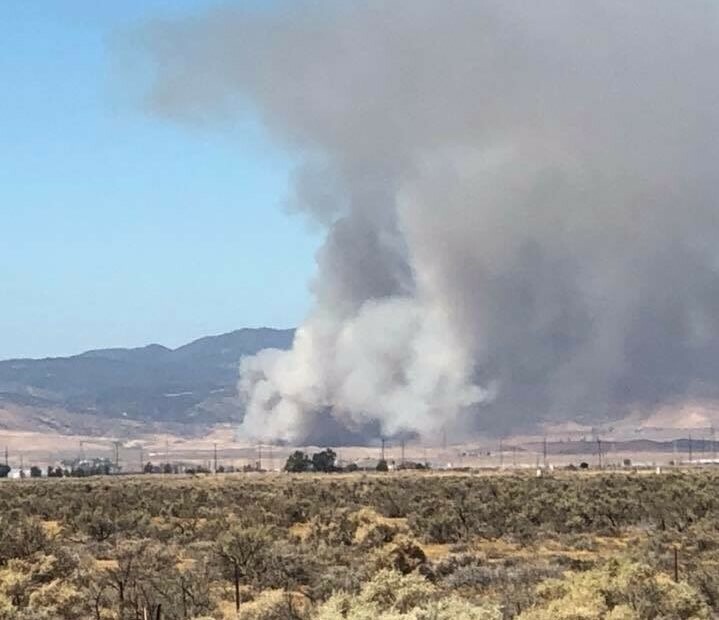 A large plume of smoke was visible east of Tejon Summit on Interstate 5, and west of the cities along the Antelope Valley (14) Freeway. Crews remained throughout the evening and into the night patrolling the fire, according to the Los Angeles County Fire Department.